This machine is a good option for set up home based small business. The demand of new ceiling and table fan is increased in summer season. 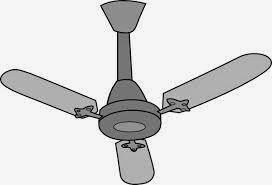 Beside that the demand of repairing and servicing of various fans is also increased in summer season. With the Fan Welding Machine you can repair ceiling and table fan. You also can make new fan with Balancing Machine, Punching Machine, Compressor Machine etc. First you have to buy copper wire from market. Then you have to roll the copper wire with the bobbin of the machine. There will be different roles of different fans and you have to use different dies for different fans. To know the detail procedures please contact the machine manufacturer. It needs ½ hp motor and 220 volts to operate the Fan Welding Machine. The price of Welding Machine (Bench Model) including is approximately Rs.13000 and the price of Welding Machine (Stand Model) is approximately Rs. 19000.